Her fifth visit to Samoa didn’t disappoint Sina Muavae of Auckland, New Zealand. It’s her first time to fly into Samoa with her husband and three months old baby for a vacation since her first visit six years. 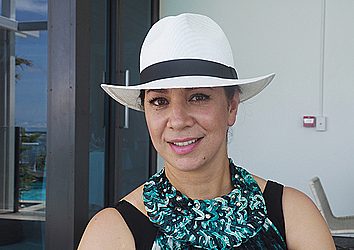 Sina couldn’t help but highlight the changes Samoa has undergone over the years, which she said is pleasant because Samoa still maintained its authenticity. In her opinion, the way locals approach tourists has also changed. Sina noted the increased number of new vegetarian cafes around town. “Here you have pretty much everything in terms of food, you can have local or European so it’s appropriate for everyone,” she said. They stay at the Taumeasina Island Resort and to them it is a little westernised. “This is great, it is very different, it is quite westernised, so it is changing quite a lot, it depends I guess what sort of feel you are going for when you come here for a holiday. If you want this or a resort experience or travelling outside around the island,” she told the Dear Tourist team. 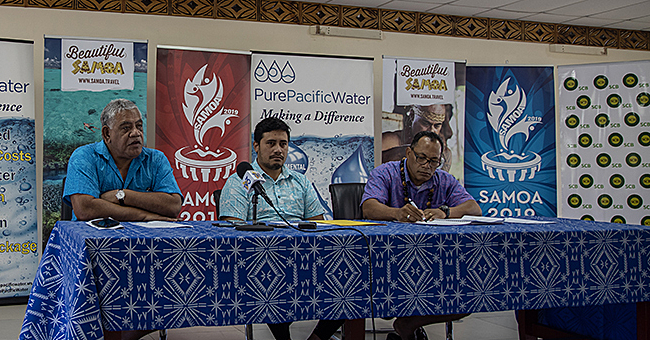 Sina said the changes to the tourism industry do not stop tourists from experiencing the real Samoa. She praised the location of the Taumeasina Resort saying it is good because it is still in town and is not like other resorts that are situated far from where the locals are. For Sina, experiencing authenticity is important. She said the village life hasn’t changed slightly from what she recalls in her last visit. “People are still looking after their land and growing their own stuff, which is amazing. All these organic stuff are pretty much fresh from the land. The food here is amazing, seafood and fruits, taros, coconuts,” she said. “This is Samoa no one wants it to disappear as long as there is a local balance and Samoa’s culture is maintained, it will be good. I will definitely come back,” she said.